So crazy to think that today marks Jaxson’s 1 year heartiversary! Since the moment we fell head over heals in love with our tiny baby, open heart surgery was looming over our heads. No matter how hard we tried to push it out of minds, the oxygen, countless meds, and weekly doctors appointments were a constant reminder of what was in our near future. As much as we were anxious to get it done and over with, there was a part of me that wished we could run away with him and not have to face that big scary surgery. 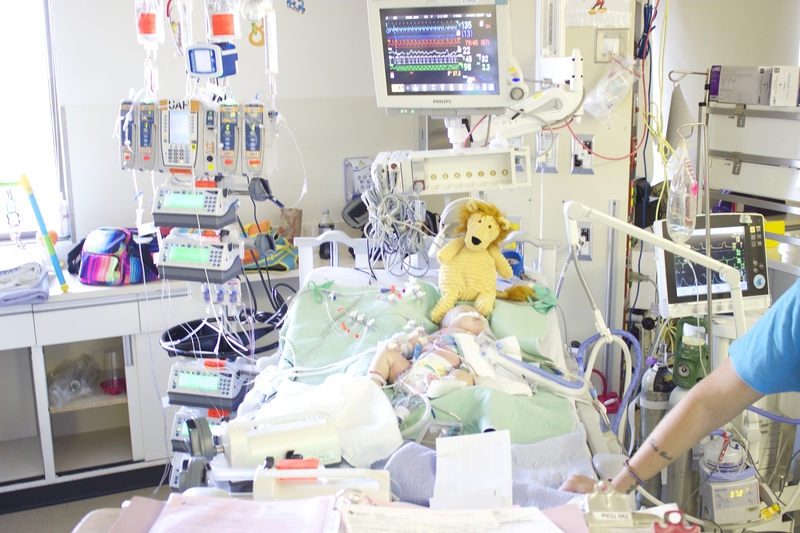 Jaxson’s heart defect was BIG, and he was considered a top priority case. We were told at the hospital by his cardiologist that Jaxson will go into heart failure prior to the surgery. We were told that he will be too tired to take his bottle and we will have to feed him via NG tube. He would breath very very fast and would become quite swollen. We were told that his skin will become mottled and his lips will be cyanotic. We were told that they want him to be 10 pounds for surgery, but that will never happen because his degree of heart defect will put him into heart failure very soon. He was to go to his pediatrician every week, and was to be weighed every other day to make sure he was gaining. We were told that if he hits the end stages of heart failure before his surgery was booked then they would rush him in for an emergent repair. We were told so many things that would happen, and what to be prepared for. “He will get worse before he gets better” is what we heard from many doctors. So we waited….. and waited…… and waited some more…… Non of those things happened! Yes, he was in heart failure, but he compensated extraordinarily well! He was doing so well in fact, there were days were we hardly thought about surgery. But of course the inevitable happened, and seeing as Jaxson’s case was top priority we got that call way sooner than we thought. This time last year we handed our 10 pound (OF COURSE HE MADE HIS SURGERY WEIGHT GOAL!!!) baby over to the OR nurse for open heart surgery. 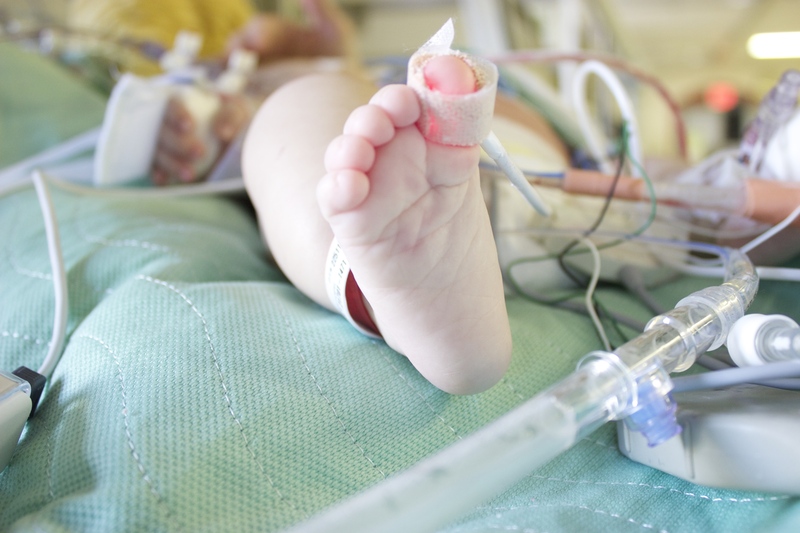 Nothing, and I mean nothing will ever prepare you for your tiny baby to have such an invasive, serious surgery. It was scary. It was terrifying. But it was over before we knew it. The second we were by his side after surgery, it was in our past. He did it, we did it, and now we could focus on recovery and his bright future. It all seems like such a blur now. On one hand I can’t believe it’s already been a year, and on the other hand it feels like an entire lifetime ago! Over this past year we have had quite a few people ask us if we plan on using special creams to reduce his sternal scar. The answer is always ABSOLUTELY NOT!! I love his scar! It’s a reminder of how incredibly strong he is. 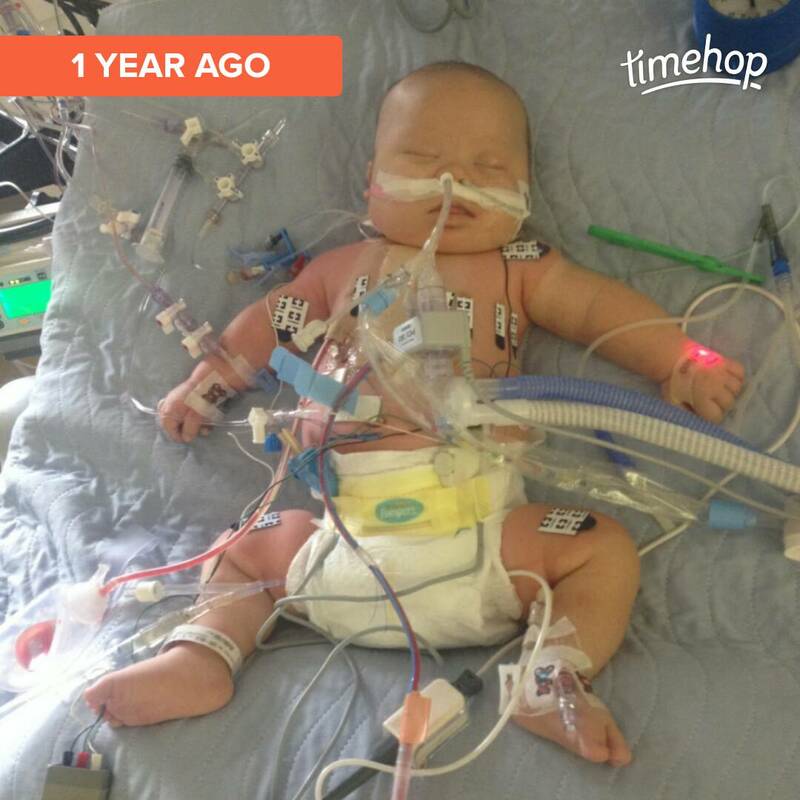 It’s a reminder of the huge hurdles he had to jump in his first 2 months of life. I love every single thing about his scar and his notchy feeling sternum. He’s a part of the ‘zipper club’ and we are damn proud of him. I have had so many people reach out to me through the blog, instagram and Facebook because they have that same surgery looming over their heads. I am so happy to be able to share our story with others so that they may find peace with their impending OHS. The weeks leading up to Jaxson’s surgery I would stay up endless nights googling AVSD repair. I read the exact same websites over and over and over again. No matter how much medical jargon I read or youtube videos I watched, the only thing that helped me was talking with other moms who have been through it. Today last year was the first day of the rest of our lives. Happy heart day big guy!!! My husband and I are 1st time parents with our 4 month old son Abel. He was diagnosed at birth with Down Syndrome along with 2 major heart defects. One of which was treated with surgery at just 5 days old and we are currently in the PCICU with Abel after his 2nd open heart surgery. I am almost certain we felt every emotion we could possibly feel being told our baby not only had Down Syndrome, but had heart defects, and would need to be transferred to a different hospital all in a matter of an hour. We have been thrown many curve balls in the past 4 months to say the very least but it is your Blog that has helped us turn every tear into a smile, every doubt into a goal, every fear into hope. I am forever grateful for stumbling across your website. Reading your emotional triumphs with Jaxson and your family has given us more than I could ever put into words. We still feel very new to the Down Syndrome community and would love to keep in contact and network with other families that can educate us and share their stories to help us through our journey with Abel.